Balochistan has been termed as the worst province across the country in the field of education. The education sector in Balochistan is suffering from years of neglect and under –funding. And also the concerned authorities never bothered to bring improvements in education system in Balochistan. Apart from this a report of Sustainable Development Policy Institute (SDPI) calls Balochistan the poorest province with low standers of living and substantially behind from the rest of the provinces. Balochistan always declined to achieve its fundamental primacy. Sad reality, that the students of Balochistan are penurious and hapless to get the basic necessities of education. Despite, it has shown its talent and proven themselves in every walk of their life. They confronted every challenges and hurdles to polish their talent in every platform. 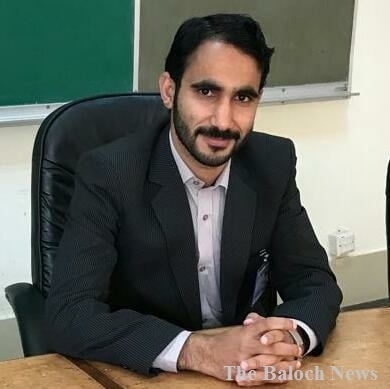 Yasir Iqbal Dashti Baloch S/O Khuda Muhammad Iqbal resident of Dasht Chout District Kech a proud Baloch grabbed the opportunities and made us all proud. He at the age of 21 submitted the forms of AC/SO in 2015, and at the age of 22 in 2016 he appeared in exam. And at the age of 23 in 2017 he got the open merit seat throughout Balochistan and grabbed third position and became the youngest Assistant commissioner of Balochistan. DEO’s Daughter secures 95% in Metric Exam. Talent or a Fraud? The Baloch News is an online newspaper that provides you with the latest news stories, articles and infotainment straight from Balochistan.